With Need For Speed: The Run, 18th version of Need for Speed game series will going to come back in action again. The Run game is being developed in 3DS version by Electronics Arts Black Box and Firebrand Games. 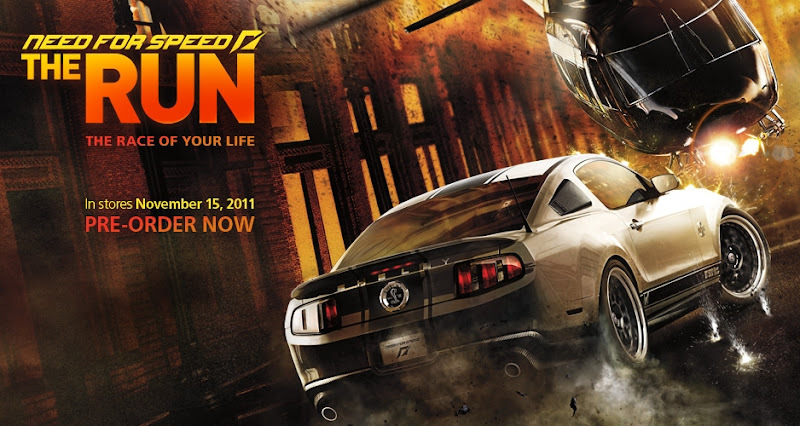 EA and Sega will schedule to release NFS: The Run online preorder bonus and sales in market next Nov. 15, 2011 in North America and Nov. 18, 2011 in Europe. In NfS: The Run playing mode, you have to show your driving with quality skill along with experienced drivers on the country’s most of the dangerous and exciting tracks. EA developed it with high-stakes racing tracks across the country of USA and with some different weather condition. There is only one way to survive in the game mode and that is to be the first one start racing from San Francisco to New York.